It snowed in central Maryland in December. December is not a traditional snowy month here so getting more than a dusting is pretty exciting! 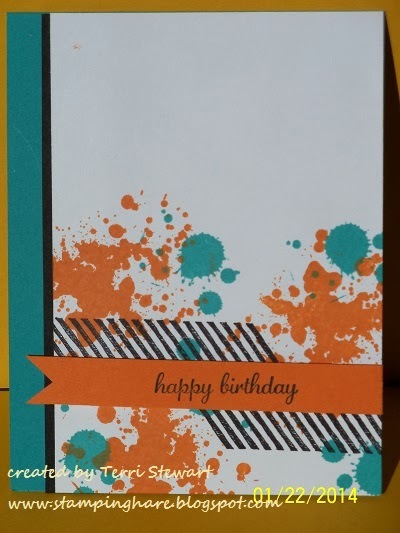 A quick note to share the latest Stampin Up news and info on upcoming stamping classes. 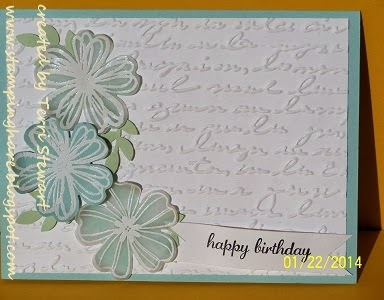 There are a few spots left in tomorrow's birthday card class; contact me ASAP to rsvp for this class or any of the others. Sign up for My Paper Pumpkin before February 10th and receive a FREE pack of 2012-2014 In-Color markers valued at $14.95! Valid for new subscribers only. Click here to learn more. 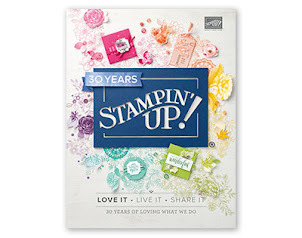 Stampin Up announced that new kits will feature photopolymer stamps allowing them to "step-up" the monthly kits with other goodies. Subscribe now and don't miss a minute of these awesome kits! 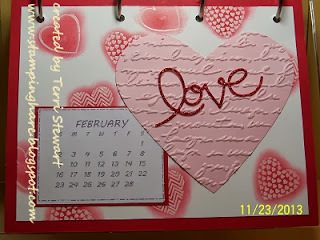 Valentine's Day is just around the corner and Stampin Up has everything you need---Valentine stamps, treat kits, and card kits. These items are available through January 27th (or while quantities last). The clear mount Follow My Heart stamp set has sold out but the wood mounted version is still available. Get your Valentine supplies today! Holiday single stamps are available through January 31. 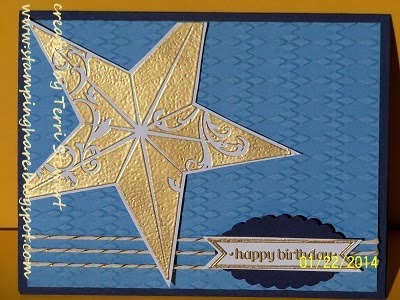 I love the Christmas Star stamp! Check out the attached photos and you'll see why! Order yours today! Don't see a card class you are looking for? No worries, contact me to set up a private class for you and your crafting besties. I hope you enjoyed the holidays and were able to spend time with friends and family--I did! I'm looking forward to 2014. I hope you and your family have a year filled with health and happiness. 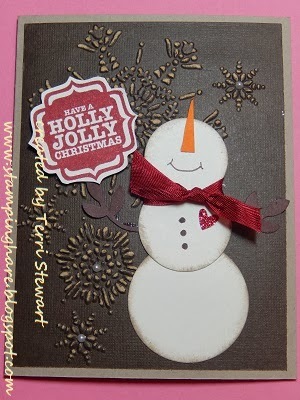 Now it's time to get stamping! 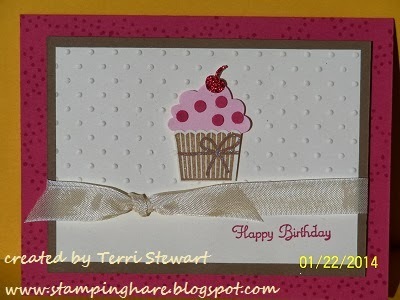 The monthly hostess stamp club begins tomorrow, Friday January 3rd, 7-9pm. I'm offering the club on 3 dates each month to accommodate various schedules, choose the date that works best for you (RSVP please!). 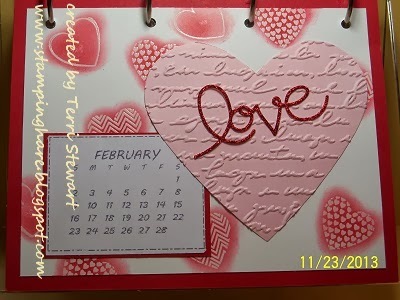 At each club meeting you'll make 2- 5.5x7" pages for a desk calendar (your choice 2014 or 2015) plus a card or other fun project. 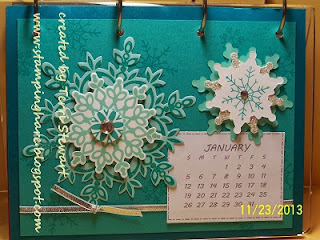 This month club members can make their calendar pages on Friday January 3 (7-9pm), Saturday January 4 (10am-12pm), or Thursday January 8 (7-9pm). This club meets for 6 months and club members receive hostess benefits -at least $25 in free products- once during the 6 months. Want to join the fun? Registration is $10 (to cover the cost of the calendar frame) and each member will place a minimum $25 order at each club meeting. I'll be assigning a Hostess code each month so members can place online orders through my website if they wish. The Hostess code for January is GERR6W6N.There is a long-distance option for the club calendar project. 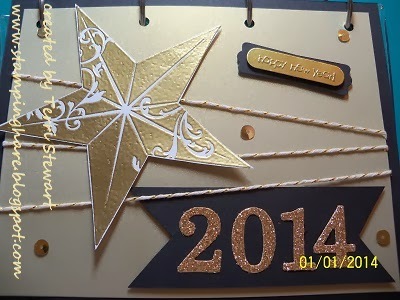 Place an order each month (via the hostess code or directly with me) and I'll mail you all the cardstock and embellishments for each calendar page; you supply your own ink, stamps, adhesives, and embossing folders/die cuts. There are a couple of spots available in this club, so don't wait. Contact me to sign up today! More items were added to the clearance rack, save up to 80% -- get them now, quantities are limited! Today (January 2) is the last day to order from the Holiday catalog; there will be a few items available after the catalog expires but not many. Shop today! Single stamps (holiday) will be available through the end of January -- the star stamp is featured on the cover of the monthly stamp club desk calendars. Sale-a-Bration (SAB) begins on January 28th -- mark your calendars and get ready to have some fun!